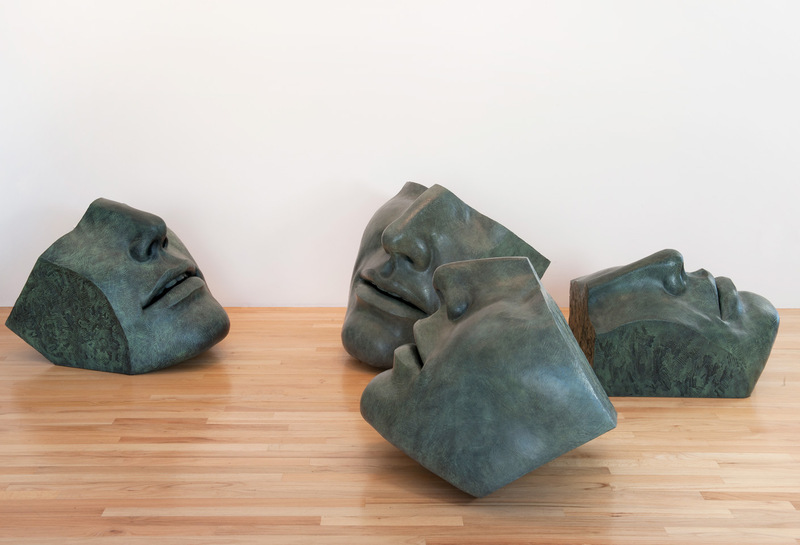 The LARGE FACE FRAGMENT series is scaled to be displayed indoors or out. They are large enough to have a maximum visual impact and yet are small enough to be easily moved. The heads weigh about 125 -160 lbs. 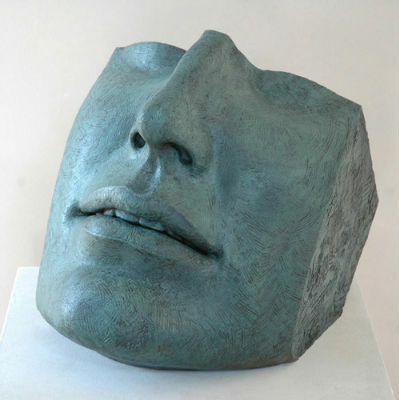 The Large Faces add a dramatic impact to a garden or patio settings. 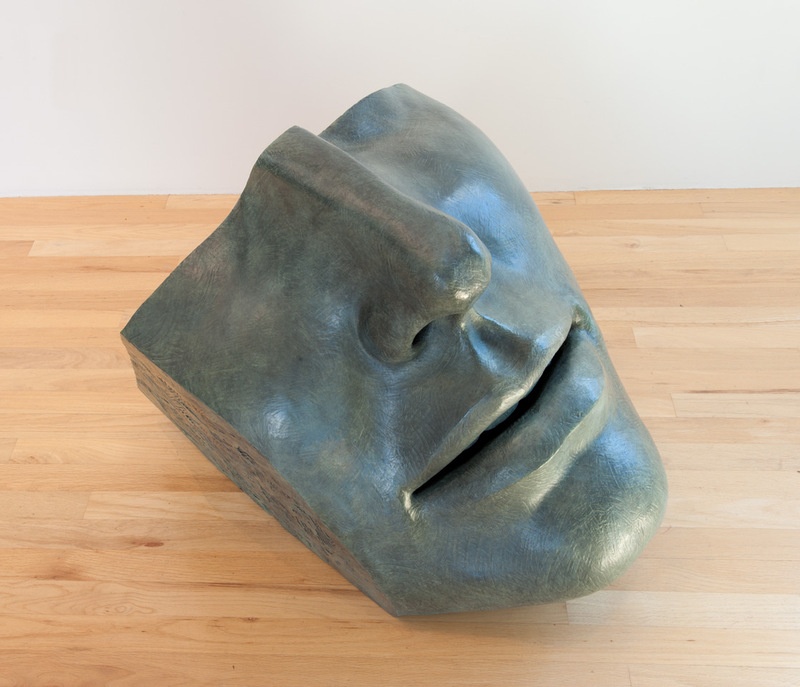 Bronze, 25.5" x 32" x 28"
This head leans to it's right and the segmentation of the face retains one cheek. 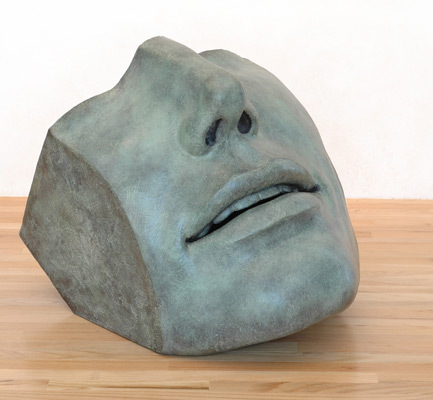 This head leans back a little further making it well suited for being placed on the floor or on a patio where it is often viewed from above. Pair of Bronze wall-hanging heads. When spaced close together they portray a feeling of intimacy. 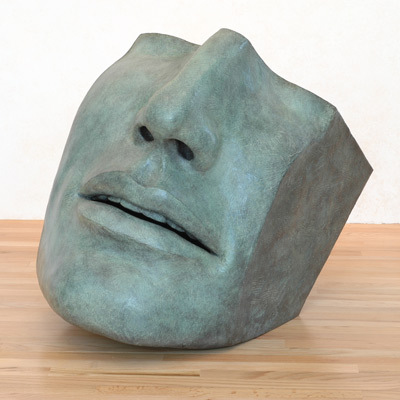 This medium sized head fragment is scaled to be displayed on a table or pedestal. Scaled to be displayed on a table or pedestal, or to sit on a garden wall. The patina is suitable for inside or outside placement. There exists an ongoing fascination with faces with eyes obscured: behind sunglasses, shadowed by a hat or hood, veiled. There becomes a mystery with information withheld. 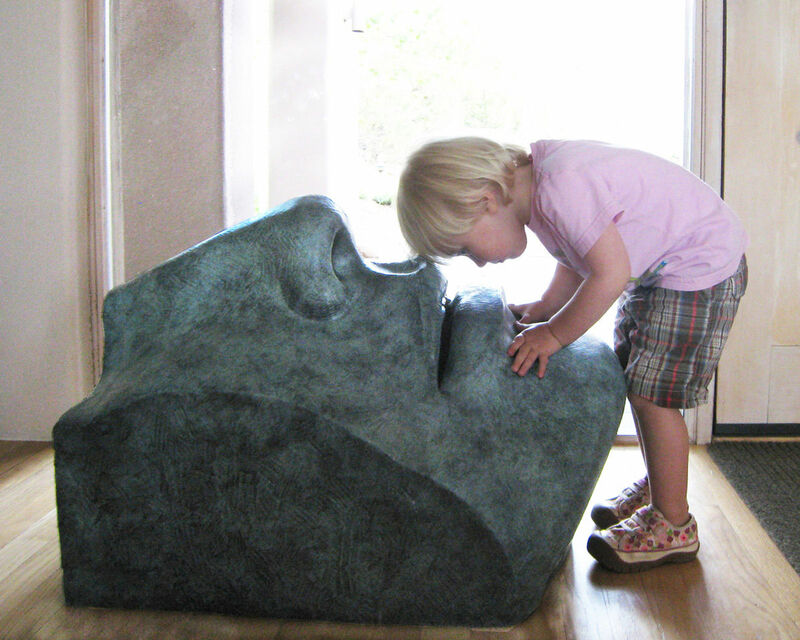 These sculptures take that a step further. The faces have been fragmented, minimized, no eyes exist. We are left without the distraction of their gaze, those "windows" into an individual, rather we are confronted with anonymous face. These faces can be imposing in their size and starkness, yet, the expressions are soft. With the lips lightly parted we are drawn to focus on the breath within.